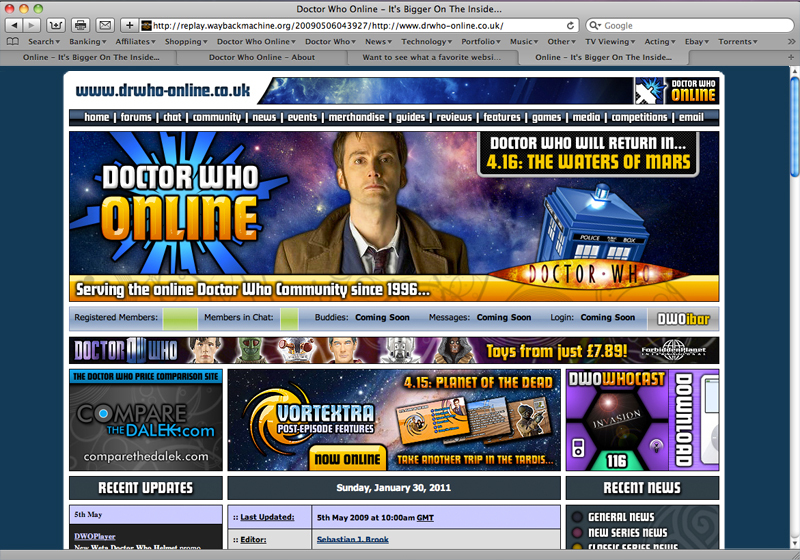 Welcome to the About section at Doctor Who Online. 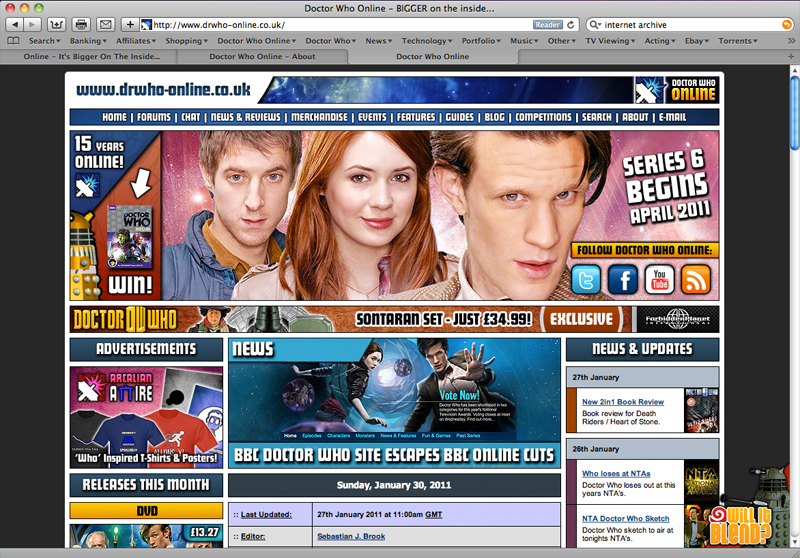 Here you will find information on the Doctor Who Online Team, Site Statistics, Media Packs, Social Networks, Site History and more. 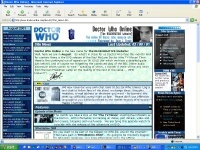 The site was founded as Doctor Who: The REGENERATIVE website in 1996 by Sebastian J. Brook, as a place for fans to find out news and guides for the show whilst it was off the air. 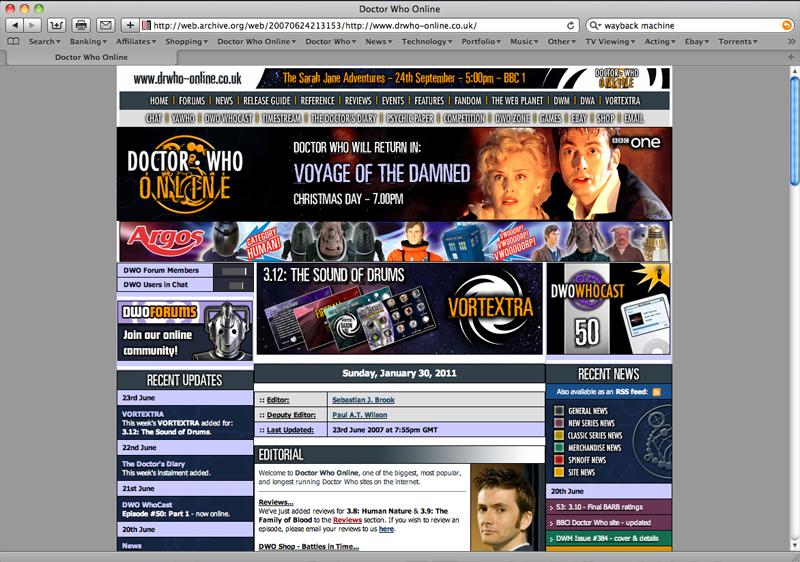 When it launched, there was no current series of Doctor Who and the show was not shown in a regular cycle; because of this the website detailed when previous episodes were to be repeated on television, on channels such as UK Gold. 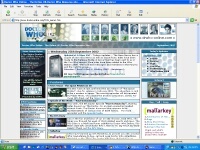 In 2000, the website changed its name to Doctor Who Online in response to former Doctor Tom Baker, who suggested the name would suit the website better. 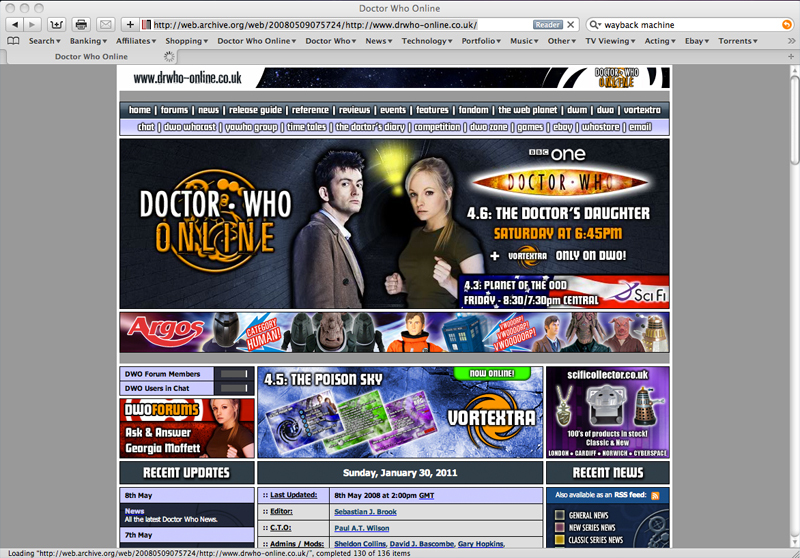 In 2003, Doctor Who Online launched a community forum featuring topics on all areas of Doctor Who as well as Q&A's with celebrity guests from the show. 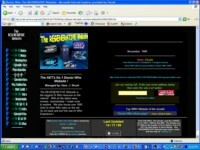 As of 2011, the forum has well over 35,000+ members. 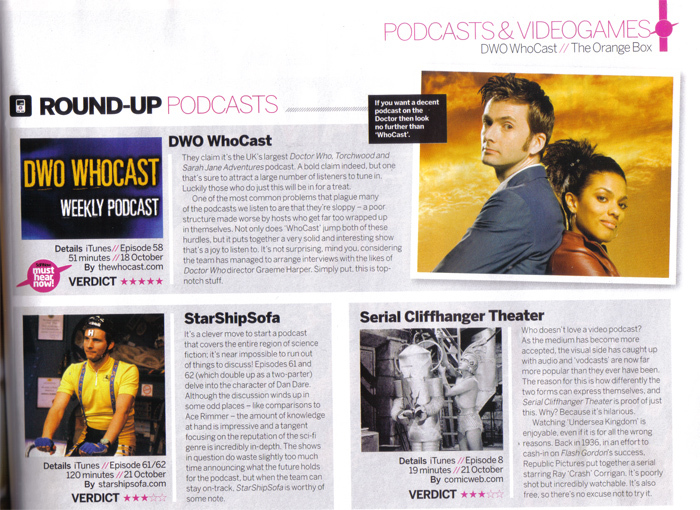 In 2006, Sebastian J. Brook teamed up with computer programmer, Paul A.T. Wilson to co-present the DWO WhoCast podcast, which at its peak has become the biggest Doctor Who Podcast on iTunes with over 30,000+ weekly listeners. 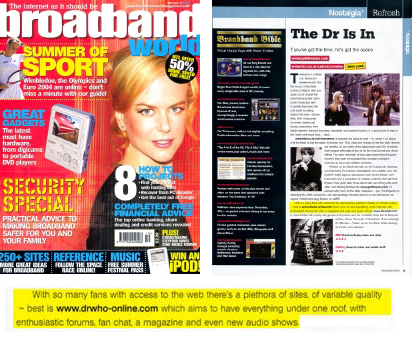 Paul helped introduce new technologies to the site to enable more interactivity and a more streamlined browsing experience. 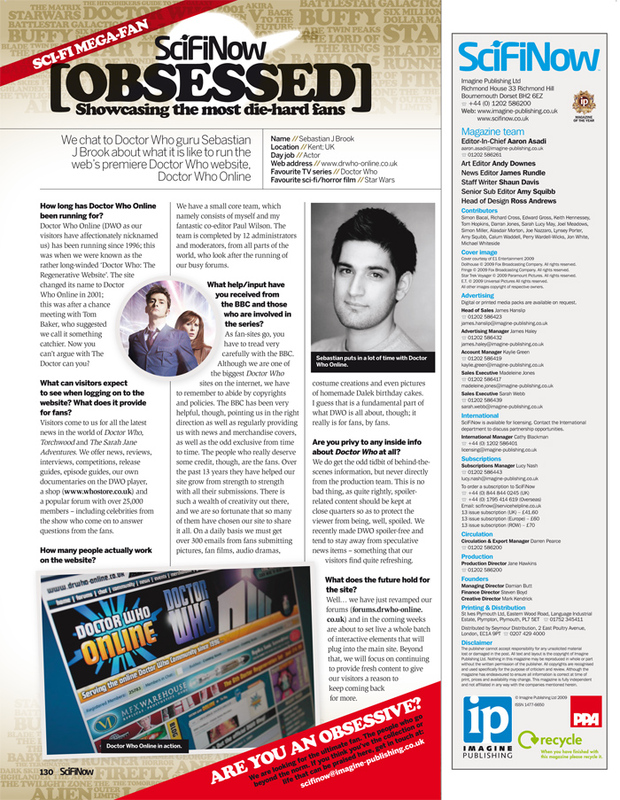 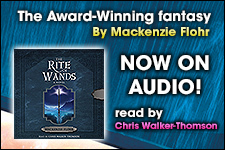 Since then, the site has been going from strength to strength, gaining a daily readership of over 30,000+ visitors. 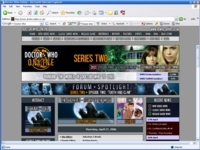 Future plans involve the site becoming even more interactive with functionality for fans to effectively log on to the site and have a facebook-style social bar to connect wih their online friends.